RUSH: We got this omnibus budget deal which voted on last night and this… I predict this is going to be the first phase of Trump voters beginning to go wobbly. This is the swamp on steroids. This was not supposed to be happening anymore, this kind of thing, this omnibus spending bill. A six-month spending bill here instead of two months. In six months, they’re gonna have to do it again. They claim they’re gonna do a real budget next. There’s hardly any money for the wall in this thing. They did get rid of the tunneling that Schumer wanted for his deal. But it’s the swamp on steroids. There’s a reason Pelosi’s happy — and don’t buy this business that Pelosi’s unhappy with it because of the DACA kids. The Democrats don’t want a DACA kid solution right now ’cause they think they’re gonna win the House in November and that’s when they’re gonna grant amnesty to everybody, the DACA kids notwithstanding. RUSH: When I saw this omnibus thing pass last night the way it passed… Well, it didn’t pass. It’s gonna pass tomorrow. When it was presented, it’s 2,200 pages. It’s the same thing, folks. It’s 2,200 pages. Nobody’s gonna read it all. Nobody’s gonna have time to read it all. There isn’t any significant spending cuts in it. It’s a six-month deal. It’s a kick the can down the road for six months instead of two months, and everybody involved is praising it. “This is the best we can get. “We don’t have 60 votes in the Senate so we have to do it this way,” blah, blah, blah, blah, nothing’s changed. This is the swamp on steroids, and my fear… I always thought it would be immigration. My fear is that this could be the issue, the item that begins to cause Trump voters to go wobbly, ’cause this was not… Let me put it another way. This is the kind of thing that was going to stop — specifically under that umbrella, definition, “draining the swamp.” My sense is that this is going to cause a massive amount of anger and opposition. I want to start a little early here on the phones. We have Donna in St. Petersburg. You’re first It’s great to have you first on the program. RUSH: Hang on a minute. RUSH: I want you to listen to something and then I have a question for you. Grab sound bite 24. Yes, 24. Hell, wherever it… It’s the Ryan sound bite. Do you have that handy? (interruption) Okay. Here. I want you to listen to Paul Ryan. This is sometime recently. RYAN: It was important for me to explain these things and on big bills that typically what I do with president, to walk him through, you know, the contours and the complexities of the legislation we pass. And, yes, he supports the bill. No two ways about it. RUSH: Okay. So there you have it, Jonna. Sorry. You know, we need to raise this font. I can barely read it. Especially by the time you put a red banner on this, I can’t read what’s on that monitor. Anyway, you heard Paul Ryan say right there that he walked Trump through it and Trump’s cool with it. CALLER: Well, see, Trump can veto the bill and if he doesn’t veto it, I’m gonna be upset with him. Because, like I said, these people, they go into office… They go into office as politicians; they come out as millionaires. CALLER: They are crooked. They’re always doing these deals behind the closed doors. They don’t care about the American public. They asked for the presidency. We gave them the presidency, we gave them the Congress, and what do they do? More dirty deals. They’re just as corrupt as they can be. If you have any honest politicians, you can count ’em on your hand, they’re so few. RUSH: Hang on a minute. Hang on a minute. So you’re not anger with Trump. You think he could veto it? CALLER: I think that he can veto it, and I think that he needs to veto it because they’re not even giving him the funds for the wall. RUSH: He’s not gonna veto it. CALLER: Well, if he’s not gonna veto it then I’m not gonna vote in the midterm elections for more crooked politicians. They get in there and they stab us in the back and I’ve had enough of it — and I vote all the time! And this really is heartbreaking to me that we can’t turn this around. RUSH: I understand all that. RUSH: But nothing’s new here! This is the way these guys have been operating since as long as I’ve been doing the program. RUSH: Wait a minute. What was gonna make it new was Trump! (chuckles) Line-item veto? And then we heard, “Yeah, we need 60 votes to do anything. We need 60 votes in the Senate if we’re gonna do a genuine, appropriation-type budget, and we just don’t have ’em.” How many years have we heard this excuse? “We don’t have the Senate. We have the House but we don’t have the Senate.” So we gave ’em the Senate. “We got the Senate but we don’t have 60 votes in the Senate.” Then they said, “We don’t have the White House.” So we gave ’em all of that! Hey, we’ve been here; we’ve done this. I maintain to you that you expected this kind of thing to change because the only thing new in Washington is Trump. Let me move on. Who’s next? Give me a green… That would be Craig in Bethlehem, Pennsylvania. Hi, Craig. Welcome. CALLER: Hi, Rush. Yeah, we’re disgusted out here. It’s unbelievable that we have to hear this again. You know, “Why vote Republican?” just like you have said before — and if Trump signs this, we’re definitely going wobbly. RUSH: Yeah. I’ve got that fear. What is it about it that bothers you? CALLER: Well, you know, you were just saying that there’s money there for the wall. There really isn’t money there for the wall. It’s only $1.7 billion, I heard. RUSH: It’s not even that. It’s $624 million. GOHMERT: This is really tragic, a massive spending bill — and the truth is, the House did our job. GOHMERT: We passed 12 appropriations bills, we had a budget, and the Senate didn’t do their job. And it doesn’t appear they’re ever going to until, No. 1, we get rid of the cloture, the 60-vote requirement. BREAM: The president says he’s ready for it to go. GOHMERT: Yeah, President Trump’s doing great on that — and, by the way, the Constitution only requires a majority. That was a “super” imposition by the Senate. RUSH: Okay. Let’s go back and look at history again because Congressman Gohmert is right; this filibuster thing is a Senate rule; the Senate can make whatever rules it wants, as long as the rules pass. And the filibuster rule is relatively new. The filibuster originally required a real filibuster. You had to get up there and talk and you couldn’t leave. And you couldn’t have somebody else talk for you. You had to wear some diapers, you had to do something. If you want to do a filibuster, you had to literally stay there and talk. A filibuster today means everything stops unless you can get 60 votes to keep going. Cloture. So on this, for example, this omnibus, whenever you see that word, folks, just think of a trash can. No! In fact, think of a Christmas tree with anything you want gift wrapped underneath it. That’s what omnibus means. For all intents and purpose, think of a giant Christmas tree and whatever any of these guys want, they can put underneath that tree. And at 2200 pages, nobody’s gonna know what all of these Christmas presents are until they actually get implemented, and even at that, many of them are never gonna be known. So you need 60 votes. They say they’re debating the bill, which they’re not even gonna do. But let’s say they were debating the bill, you would need 60 votes to stop the debate and then go on to the vote, which, for all intents and purposes, means in the Senate you need 60 votes to pass anything. The pressure has been on McConnell to get rid of this. The nuclear option on budgeting, get rid of this filibuster. And McConnell will not do it. And he’s not the only one that wouldn’t do it, but he’s the most recent Senate leader who will not do it. So the Republicans have 52, and those 52 don’t hang together. So at the very best they would need eight Democrats to join them. That’s not gonna happen. Now, Congressman Gohmert here made a very important point that is going to be lost in all this. You know, we’ve had a lot of committee chairmen on the Republican side announce that they are resigning. And this has been portrayed by the Drive-By Media as the Republicans knowing that they’re going to lose in November. That these committee chairmen are very wise, and they see what’s coming, and they’re not gonna want to hang around there as the minority. That’s not why they’re resigning. They are resigning because they are term limited. Chairmanships have a limit. And so once the chairmanship is over by virtue of term limits, these guys just don’t want to go back to being a regular plebe, just a standard, ordinary member of the House. Once you’ve had a committee chairmanship, I mean, that’s the elite of the elite. You don’t want to go back to being some invisible back bencher that nobody ever hears from. So they resign, or retire, and then try to capitalize on their years of public service in the private sector where they next go. Now, Gohmert pointed out that they did, they went through the appropriations process. They had 12 appropriations bills. This is the way the budget used to happen. Before Obama came along and before they blew up the budget process in exchange for these continuing resolutions, the committee chairmen on appropriations in the House and Senate were very powerful people. But the Appropriations Committee chairman the past five or six years hasn’t amounted to anything because they haven’t been appropriating anything. They’ve been doing continuing resolutions or omnibus like this. The budget process requires there are 12 appropriations bills in the House, according to budget law and budget requirements. And all of these different 12 areas of appropriation have to do with 12 different areas of the budget. And what Gohmert said is we did that. We actually followed the budget process in the House, but they are not in the Senate. It’s also fashionable for members of the House to dump on the Senate. And it’s largely true, but it still is something that has been happening. The point is, we have not had, this country has not had a traditional, constitutional, legal budget since Obama assumed office, for all intents and purposes. We’ve been doing continuing resolutions of a couple months here. How many times a year do we have this phony government shutdown debate? People are fed up with that, too, and we got another one, Friday night midnight if this thing’s not done, oh, no, government shutdown. Why didn’t it shut down yesterday in the snowstorm? It usually always does, but it didn’t yesterday ’cause they got this one coming up if they want it. No, it means that government shutdowns are purely political and they’re not even gonna talk about it unless there’s some political advantage to. So they went through the appropriations process, they appropriated the money for all these 12 different areas. None of that’s happening in the Senate, and it’s all gonna end up in this omnibus bill. It’s $1.3 trillion, and Paul Ryan was on TV today saying, “Don’t sweat it. It’s only six months! It’s only six months! This is not etching everything in this thing in stone! It’s only six months!” $1.3 trillion. “It’s only six months.” That used to be more than the entire annual budget. But we’re supposed to go, “Oh, okay. Oh. It’s only six months? Fine.” Six months from now is when? April, May, June, July — October! Right before the midterms. RUSH: What I was gonna say is that this probably now is the last major bit of, quote, unquote, legislation before the midterms. The Democrats aren’t gonna be motivated to do anything that fixes anything. I’m gonna tell you, folks, we’ve been here before. You know, Ronald Reagan never had 60 votes in the Senate. You know what he did? He vetoed this stuff. He vetoed it. He let the government shut down. Just they didn’t make a big political deal of it back then. The government shutdown, those things are frequent, they’ve always been frequent, but Reagan vetoed this stuff. This was a major, major plank. This was a major leg of Reagan’s stool. The issues on which he defined his the presidency. Rebuilding the military, reviving the economy, tax cuts, including this getting a handle on spending. But Reagan did veto garbage like this. It’s the only way to influence the process. When you don’t have 60 votes in the Senate, that’s the only thing Trump can do. JORDAN: The American people didn’t elect Democrats to control the United States Congress. They elected Republicans. I don’t think we told the voters when we were running for the job when they gave us the privilege to come here and serve that we’re gonna continue to fund Planned Parenthood, and we were gonna restrict Second Amendment liberties, let some bureaucrats take away your Second Amendment rights, not a court of law. I don’t think they said were gonna fund this gateway, earmark, boondoggle project and not fund the border wall? I mean, the one thing we don’t fund is the one issue we all campaigned on, the border security wall, and that is not in the legislation. So it can’t get any worse than this bill. But he’s exactly right, and people know it. It’s not just the total spending. That’s bad enough. It is where this spending goes! And it is as though there was not an election in 2016, and that’s why people are livid. You know, the amount of spending — but where this is headed, given the fact Republicans run the place, is what has people fit to be tied today. Look at this from the Republican standpoint. How many times have we blown up at ’em and been mad over however many recent years you want to calculate, and look what happened. They still end up winning last year and they’re in control of the House. Now, I know you’re shaking your head in there. “It’s ’cause of Trump. There’s the only reason they won big is because of Trump.” I’m fully acknowledging that. But these guys, they think they won on their own. I mean, their egos are such. My point is that they seldom… I mean, they get yelled at, and they get faxed and they get emailed and they get tweetered and they get Facebooked and they get everything. But they still don’t change because they still end up getting sent back. Incumbents win at a 90% return rate, pretty much. I mean, it changes marginally from election to election, but that’s a long-term average on this kind of stuff. So where are the Never Trumpers on this? Never Trumpers have been opposing this kind of stuff for I don’t know how long. The Never Trumpers, they pride themselves on being budget and deficit hawks. So what are they gonna do? Are they gonna applaud this because they’ll look at it as a sign that Trump has no influence, that Trump isn’t really making any difference? “When you get right down to it,” they’ll say, “Trump isn’t making any difference.” So they might be happy about it. So even they will end up being made to look hypocritical, depending on how they play this. JORDAN: The American people didn’t elect Democrats to control the United States Congress. They elected Republicans. I don’t think we told the voters when we were running for the job when they gave us the privilege to come here and serve that we’re gonna continue to fund Planned Parenthood, we were gonna restrict Second Amendment liberties; let some bureaucrats take away your Second Amendment rights, not a court of law. I don’t think they said were gonna fund this Gateway, earmark, boondoggle project and not fund the border wall? I mean, the one thing we don’t fund is the one issue we all campaigned on, the border security wall, and that is not in the legislation. So it can’t get any worse than this bill. RYAN: He is wrong. Look, Jim’s never voted for one of these bills ever. I don’t expect him to do it anytime near future. This doesn’t fund Gateway, and it does fund the wall. So let me just step back for a second. You know how long the funding this bill lasts? Six months. This is not a 10-year bill. Six months. And so what we did in this bill is we funded, in the next six months, exactly the budget request the administration asked us for the border. Gateway is Chuck Schumer’s little tunnel project in New York, and it does get some funding. It gets it indirectly. But Schumer’s happy. Pelosi is happy. Schumer’s out there saying this this this is absolutely wonderful. This is the end of austerity! The era of austerity is over! Schumer saw… Era of austerity? We haven’t had any austerity. You know what they think austerity is, was? RYAN: We want to get it going right now. We don’t want to wait until we can get a multiyear bill passed. Here’s the problem with this process, which I hate as well. The Senate has a filibuster, and the reason we’re coming up against a deadline of the government stopping its funding tomorrow is because of the Senate filibuster. We fund government one year at a time. That’s how the budget process works. So we’re gonna fund the wall one year at a time — in this case, for the next six months. RUSH: Okay. So this is what the president wanted, and even if it wasn’t, the Senate has a filibuster, and there’s nothing we can do. Now, there’s some truth to this. I don’t want to be sounding completely snarky here, but all of this is known going in — and I know what you all are hearing, ’cause I hear it too. “Hey, we’re just victims! We’re just victims of the way this place runs,” as though they don’t run it. Almost like the Limbaugh Theorem attached to members of Congress. Next is Kevin Brady. Kevin Brady is chairman of the House Ways and Means Committee. This is the big, gigantic appropriations outfit in the House. I mean, there is an Appropriations Committee and a chairman. But Ways and Means is where every spending bill in this nation originates. The Ways and Means Committee… This country cannot spend a dollar, a budgetary dollar without it being appropriated and authorized by the Ways and Means Committee. BRADY: I think “satisfied” is the right answer, and here’s why. Look, we really do have a crisis in our military readiness. Um, it’s undeniable. And I know back home I run into families who are on their seventh or eighth deployment. You know, they’re cannibalizing one helicopter to get the Black Hawk ready for just a little pilot training. Uh, we got a serious problem. So the main reason to support this bill, in my view, is to rebuild our military in a serious way. 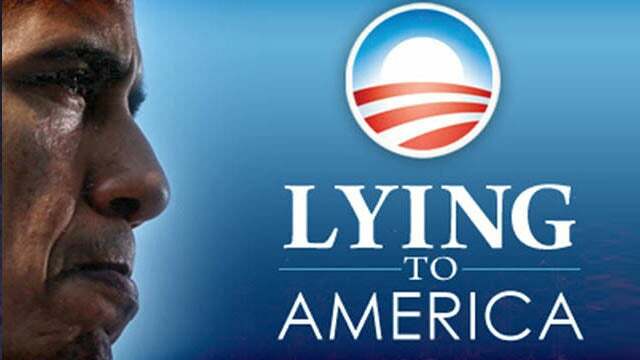 RUSH: And that will be the justification from the White House for signing it. Now, we’ve got a call that I think wants to reference this. Yeah, let’s grab Mark in Davenport, Iowa. You want to weigh in on this, sir? CALLER: Yes. Hi, Rush. Mega dittos. CALLER: I’m not ready to dump Trump. And my suggestion is that we take a page out of the Obama playbook where Obama blamed Bush for everything, particularly with the economy. And for Trump and the Republicans to say — I think I just heard you play a recording of that, that we need to do this, rebuild the military because of what Obama did to it. We need to fix immigration. We have to have immigration reform because of what Obama did. We need to improve our infrastructure because of Obama. And I don’t look at it as compromise. CALLER: — I think, you know, Trump needs the spending to get this stuff done and I’m still with him on it. RUSH: Okay. I’ll try it. I’ll try the rest of the program. I’ll see how it flies. I’ll dump it all on Obama and see how people react to it. Damn, Obama. We wouldn’t be in this mess if it weren’t for him. I’ll see if I can sell that. Thank you for that. It’s just gonna be an experiment out there. RUSH: No. I was dead serious. I can’t wait to hear from the Never Trumpers on this. I want to know, are the Never Trumpers gonna be attacking McConnell? Are the Never Trumpers gonna be attacking Ryan? Where’s Flake? Where’s McCain? They’re out there every day opposing everything Trump does. Trump’s fingerprints are gonna be on this ’cause he’s gonna sign it. Where are the Never Trumpers? Because the Never Trumpers, if Trump weren’t in the picture, would be leading the charge against this from their intellectual houses of ivory. (interruption) You don’t think that’s right? So where are they? Where are the Never Trumpers? Teresa in Harrisburg, Pennsylvania. Great to have you on the program. How you doing? CALLER: Good morning. I mean good afternoon, sir. RUSH: That’s right. It’s morning somewhere, and somebody’s drinking somewhere, too, so it’s okay. RUSH: But look, our guys, there’s nothing they can do. Look at the mess Obama left ’em with. 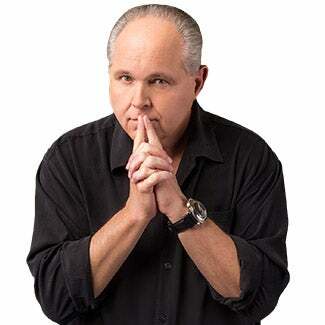 RUSH: Have you ever noticed, the Democrats never seem to need 60 votes for anything. RUSH: They get it done on 48, 49, seems like, whatever they want, they need 48 or 49. Harry Reid, Chuck Schumer, doesn’t matter. We need 60, and if we had 60, we’d probably need 62. RUSH: I hear ya! If this is what winning is, I hear you, folks, top to bottom, front to back. RUSH: This budget debacle. You know something that has…? (snorts) Speaking of Obama, there’s an Obama program that was introduced in Obama’s Porkulus bill. Remember his first so-called stimulus bill, which was March of 2009 — and we talked about it recently. It’s a program called TIGER. Does that ring any bells? Does anybody know what I was referring to when talking about TIGER? That’s an acronym. It stands for the Transportation Investment Generating Economic Recovery. Transportation Investment Generating Economic Recovery, and that was in Obama’s stimulus bill. TIGER. It’s a supplementary discretionary grant program included in the Porkulus bill. One of the noteworthy TIGER projects (Do any of you remember?) was the bridge. The pedestrian bridge at Florida International University which collapsed was funded by Obama’s TIGER program. 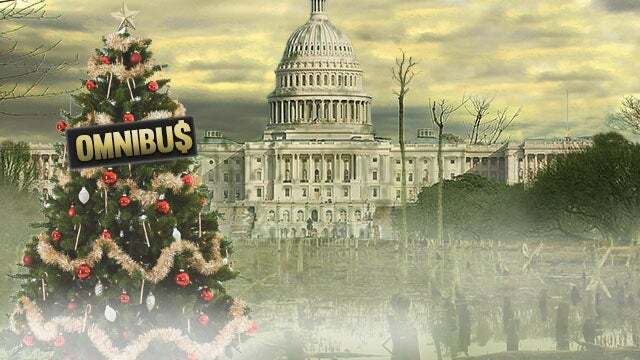 Well, the TIGER program got an increase in spending in this massive omnibus Christmas tree spending bill. I know what you’re saying. “Mr. Limbaugh, be very careful. Just because there was an item in the budget for that bridge is not the reason the bridge collapsed.” That bridge was under construction for five years. Planning, construction. A pedestrian bridge. We built the Empire State Building in the same span of time! This is a pedestrian bridge! Last I heard, somebody used an incorrect bolt, incorrect size of bolt that couldn’t carry the load and it’s one of the reasons that it collapsed. So the TIGER program, something that Obama put in his Porkulus bill, gets a bump! “Are you saying it should have been eliminated?” My friends, that’s not the point. The point is nothing gets eliminated. Nothing gets cut back. Ever. But this we’ve kind of come to expect. I mean, the idea that there’s going to be budgetary restraint? It remains a pipe dream. The national debt’s now $21 trillion. There’s no end in sight to it. That’s bad enough. It is where this money is being allocated with the Republicans having won the election. That is — as much as anything — what has people fit to be tied. And, look. I hope I’m wrong, but I’m just… I think this said at the top of the program, I think this is something that could cause some Trump voters to go wobbly. I thought that it would actually require doing nothing on immigration or the wall that would cause Trump voters to go wobbly. But this is so egregious. And it is not at all representative of the thinking on the side of the party that won. But let me repeat this, ’cause I firmly believe it, and I think it’s relevant. This kind of spending… You listen to Chuck You Schumer — and, hell, a lot of other government officials talk about how wonderful it is, how great it is, how much compassion is behind it and how much growth portends. I think it’s the exact opposite. I think we’re destroying people. I think it’s particularly the people that vote Democrat. They in general are never happy. Many of them are not even content. It’s the opposite. They are constantly enraged. They are angry. They are filled with hate. They’re being poisoned by it. 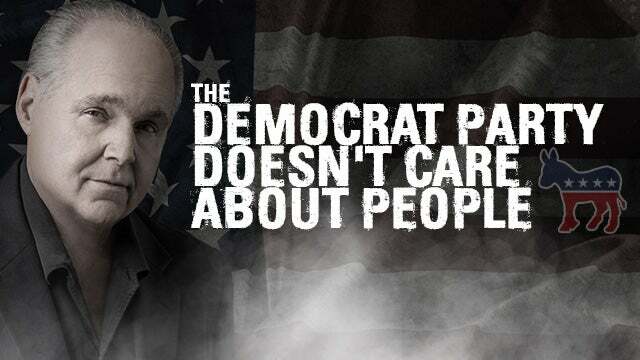 And as Democrat voters, they have allowed themselves to become victims, to be portrayed as victims, which — among many other things — eliminates any personal responsibility for themselves. They have a built-in excuse for not even trying to succeed, ’cause the Democrat has told them the deck is so stacked against them that they can’t succeed. If you’re any kind of a minority — if you’re a female, if you’re Latino, if you’re African-American, if you’re gay, if you’re transgender — this country is such a racist, sexist, bigoted, homophobic place. You don’t have a prayer of succeeding, ’cause these powerful forces are lined up against you, willing to discriminate against you and willing to put you in jail! So these people that buy hook, line, and sinker what the Democrat Party sells are never, ever gonna get even close to realizing their potential, much less maximizing it or experiencing it. You know, on a personal level, if I had no sense of achievement every day of my life — if I didn’t know what success was — I probably wouldn’t have very much self-esteem. I don’t know that I would like myself very much. And I think that is a classic profile of your average Democrat voter, of this era. It may not be true if you go back 50 years. But today, the way the Democrats have positioned themselves and marshaled their forces, the average Democrat voter today is looking for the Democrats and the government to get even with all these invisible people holding ’em back. ‘Cause as victims, they can’t do it themselves. They do not know what self-reliance is. They do not know what it feels like to achieve something, to accomplish something. They’re never gonna know, ’cause they don’t think they can. They have a built-in excuse. The Democrats have told them the deck is so stacked against ’em ’cause America is essentially an unfair and discriminatory place. Well, you compound that with every day these people live it’s reinforced that they’re nobodies and that they not gonna find a chance. And all around them they see other people succeeding. They see other people laughing, smiling, enjoying life. They see people enjoying the fruits of their labors, and they’re not — and that makes them angrier, even, because that shouldn’t be happening. The Democrats ought to be dealing with those people. Those people need to be punished! This was one of the big motivational techniques of labor bosses of old, continually portraying labor union membership as a bunch of discriminated against, no-the-chance-unless-the-union’s-looking-out-for-you, group of people. Look how angry they were all the time. So it’s… Democrats, what they consider success for themselves politically is doing a tremendous amount of damage to everyday, ordinary, average Americans who have been convinced they haven’t a chance, and so what’s the point of even trying? Quickly, Frank in Munster, Indiana. I’m glad you waited. You next on the EIB Network. Hi. CALLER: Well, I can’t believe I got on, Rush. It’s really something. CALLER: We got… President Trump, he’s got to veto this omnibus bill. This is just total insanity. But we could help drain the swamp, especially here in Indiana. Two of our congressmen want to be able to run against Senator Joe Donnelly in the fall. Todd Rokita and [Luke] Messer, where are you? Todd Rokita especially. Congressman Rokita, you claim to be the No. 2 guy on the Budget Committee. Now, you would think he would be able to make some noise. He wants to run for Senate. Where are you, Todd? If you’re not for us, you’re against us. And maybe as the swamp water is draining down, we could see the muck on the bottom of the swamp and there it is. It’s time to keep draining the swamp. Let’s shovel the muck out. Let’s get somebody new. RUSH: Wait, wait. What do you expect these guys to do? CALLER: Yeah. Wah, wah, wah, wah, wah. Come on. Let’s get some backbone. What are we paying you to do? What are we paying you to do? Let’s get some backbone. Let’s go and get something done. You want to become Senator, you want to move out of the Congress, House of Representatives, you want to move in for the Senate? Well, show us some backbone. Show us that you deserve to be there. 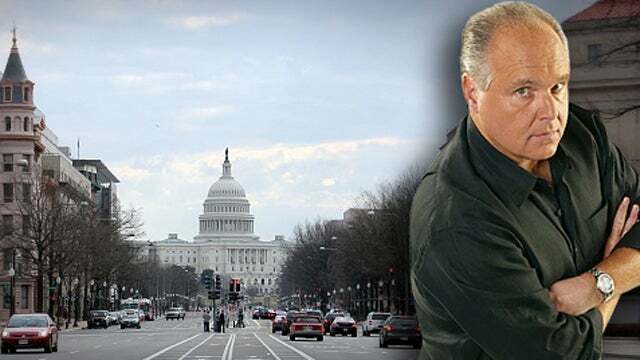 RUSH: Frank, if I had to say anything, my guess is — and please don’t misunderstand me. I’m saying this only from the benefit of intelligence guided by years and years of experience. Frank, do you mind me asking, how old are you? RUSH: Okay. So we’re pretty close. CALLER: Yeah, we’re pretty close. RUSH: Frank, look how often we’ve seen this! And these guys continue to get reelected. You know, you’re giving a shout-out to your two local guys. You really think, even if they were listening now and heard you, do you think they’re gonna be scared? RUSH: What I’m saying to you, I don’t think old Todd is worried. I don’t think these guys are worried. They keep getting reelected. It’s like they think everybody’s worried about Facebook right now and Russia colluding. RUSH: Sandy in Laurel, Montana. You’re next. CALLER: I am not wobbly. I think we need to have the staying power no matter what happens in the legislature. It took a long time to drain — or it will take a long time to drain the swamp, and we’re rewarding the Democrats if we don’t stay in and vote for more Republicans. We just started. RUSH: And so you would counsel patience and a little restraint here? RUSH: You’re afraid that some of this could end up being very harmful to Trump by causing some Republicans to just step out and not vote, period, that worries you? CALLER: Yes. It worries me. And look at the hell that Trump and his family have gone through. We haven’t gone through anything like that. We need to stick with him and keep working on it. It will take a while to drain the swamp. RUSH: Well, I have to say, that’s a way of looking at this. It’s just Trump’s second year. This may not be a battle to plant the flag on, to climb up the hill. This is Congress doing what it does. Trump is still winding his way through the murk and the mess of the executive branch. He’s got Mueller yipping at his heels. He’s got all that other stuff going on. He’s got leaks in his own White House National Security Council staff. And this is something that Trump will have to get to a little later. This is the Congress. This is the legislature. Trump doesn’t have anything to do with this. Only thing he can do is veto it. I’m sure that she represents a sincere body of thought out there.